Demand Planning gets RM/PM procurement to be made. 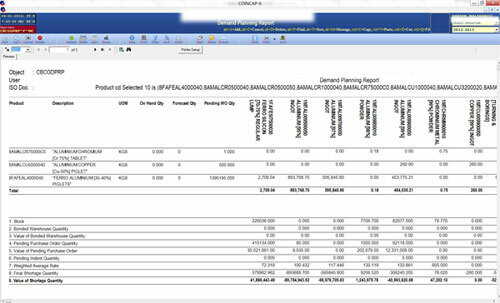 System uses the Bill of material for a product to get the requirement. It considers WO/SO and sales forecast information given for a specific period in COINCAP, to build the demand. 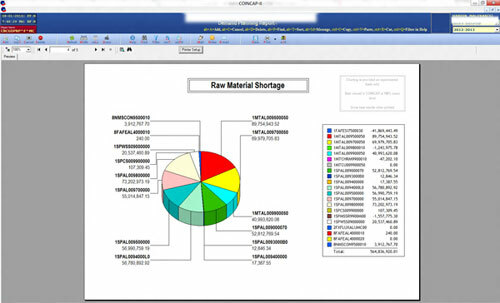 It collects information from Production Plan, PO, Indent and Item Master and it will prepare an Excess / Shortage of all those material which are part of BOM. Charts are provided to help decision making.